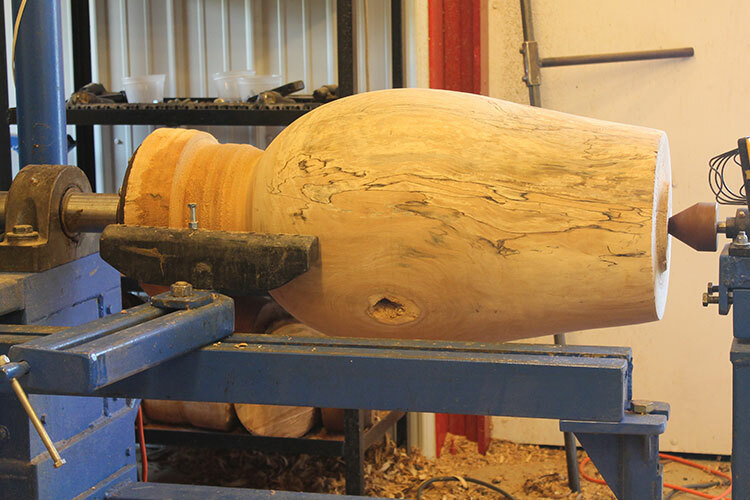 A sycamore log has been mounted on the lathe and is ready for turning. The log has been mounted using face plate with 3″ screws. A live center helps support the other end. 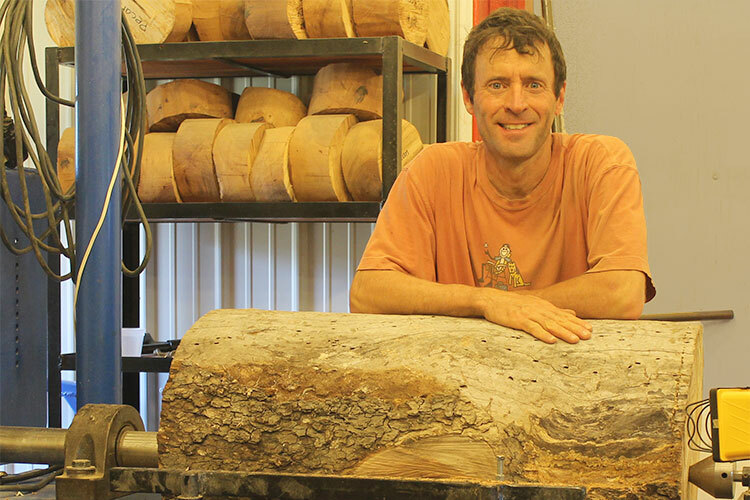 The outside of the log has been turned showing the final profile. 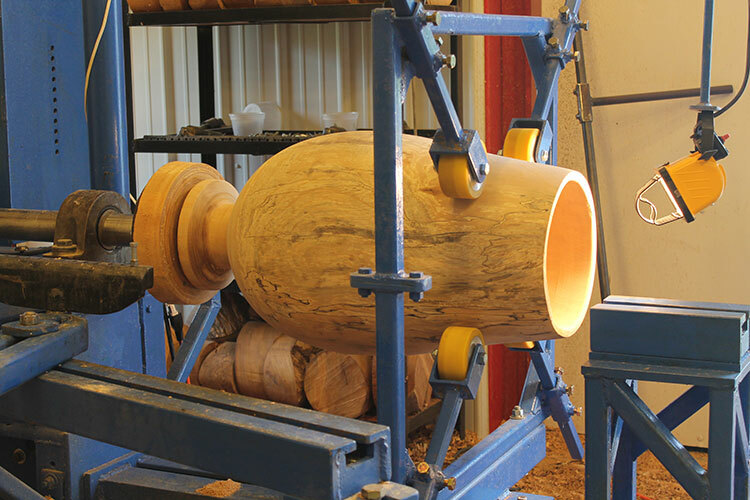 A steady rest is used to support the vase while removing the inside. The pile of wood chips created by turning this piece. 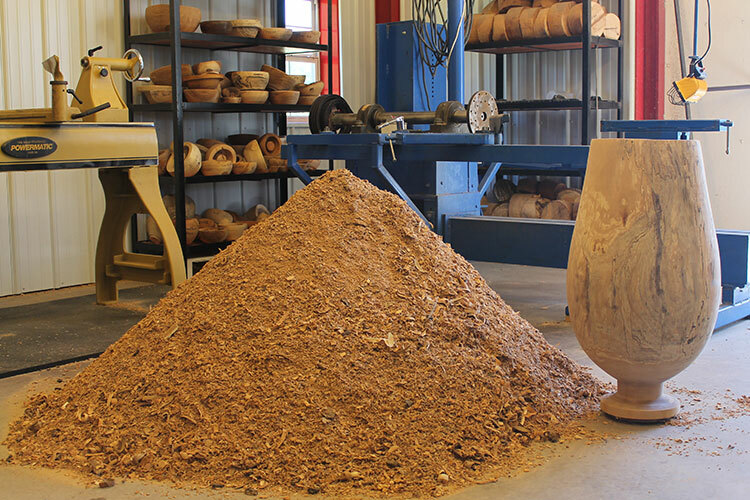 Approximately 125 gallons of wood chips were created in turning this one piece. 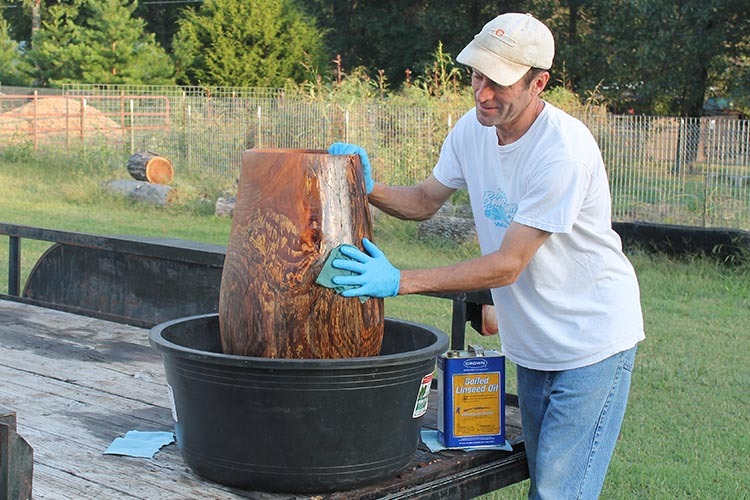 Next I apply several coats of linseed oil to the vase. This particular piece soaked up almost one gallon of linseed oil. 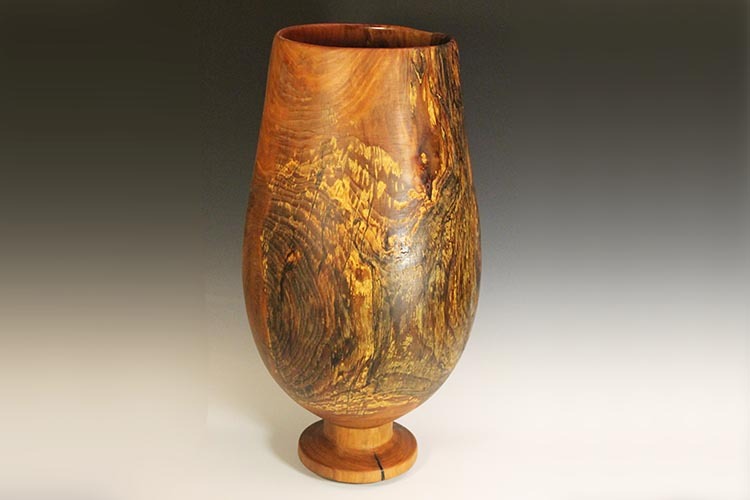 This and your pine bowl are amazing pieces. I saw the pine bowl on Pinterest and clicked on the link. That large bowl lathe is really cool. Did you make that yourself? I think with such really cool pieces, if you want to raise your profile, a YouTube channel would do wonders. 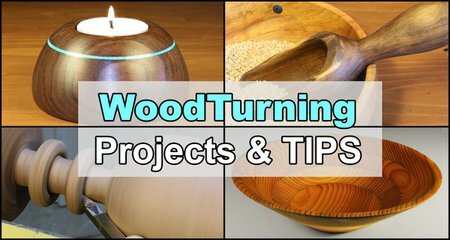 I subscribe the the Rebel Turner, and watch all his turning videos. You bring that up a notch with the large bowl lathe. I have pinned your bowls and will check back to see what you do next. Thanks for the inspiration. Thank you for the kind words. Yes, I made the lathe myself (with the help from a friend who has a plasma cutter). While I have no plans of creating a YouTube channel, I did go ahead and upload a video of me turning a “small” bowl! !